Saving A Critically Endangered Aboriginal Language in Australia - Integration Through Media ....! 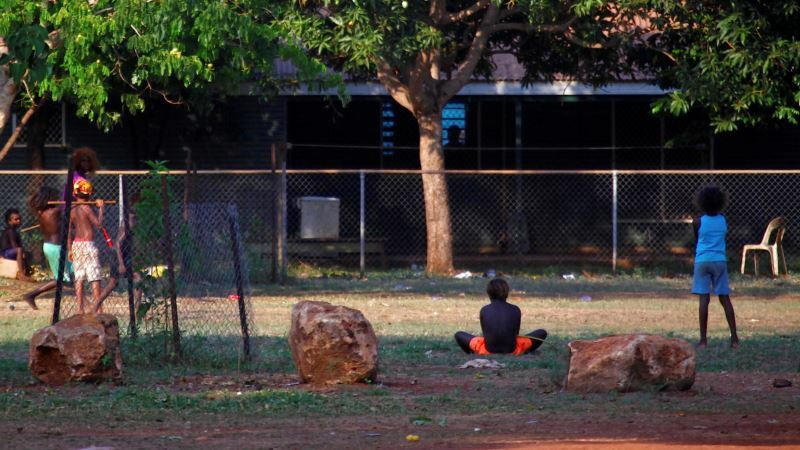 (VOA): Indigenous elders in central Australia are leading efforts to save a critically endangered language. Of the estimated 300 Indigenous languages that once existed in Australia, only 90 are still spoken. Language is a critical part of Indigenous culture in Australia. It is a repository for tribal knowledge, history and customs, and gives communities a valuable sense of identity. About 300 languages existed when European settlers arrived in Australia in the late 1700s. Although around 90 have survived, only about 60 are considered to be ‘alive’ and in regular use. Others are considered to be critically endangered as tribal elders pass away. Academics say that colonization has also had an adverse effect on Indigenous languages. In the central Australian desert near Alice Springs only 20 people are fluent in Pertame, but children are being taught its ancient words in the hope that it will not die out. Community leaders say that for decades they were forbidden by their white teachers to speak their native tongue but they did so in secret to help it survive. “This teacher walked past and said do not speak that lingo [language] at school and we promised ourselves that we would talk it in secret and just keep it going and, you know, talk amongst ourselves in secret. I think a lot of non-Indigenous people they do not understand how important it is for Aboriginal people to have their language and to keep it strong,” said tribal elder Kathleen Bradshaw. The Northern Territory in Australia has schools where students learn in both English and an Aboriginal language. Many communities speak what is called Aboriginal English that reflects Indigenous language and culture. Its structure adheres to some patterns of standard English as well as including words originating from Aboriginal languages. Kriol is a north Australian creole that is spoken by children whose parents were fluent in different tribal languages. Aboriginal Australians make up about 3 percent of Australia’s population. They suffer high rates of poverty, ill-health and imprisonment. Archaeological evidence has suggested that Aboriginal people have been in Australia for at least 65,000 years.